The World Spider Catalog (www.wsc.nmbe.ch) is the first fully search able online database covering spider taxonomy. Platnick started this task with a first online version of his World Spider Catalog in 2000 and continued through 2014, with two updated versions per year, a total of 30 updates. The catalog was hosted at the American Museum of Natural History and served as HTML files per family. With the retirement of Platnick in 2014, the Natural History Museum Bern (Switzerland) accepted to continue Platnick’s work and took over the World Spider Catalog. One of the major achievements of a true database is that it is fully searchable over the complete content of spider taxonomy since 1757 when the first now acknowledged 68 spider species were described by Carl Clerck. The World Spider Catalog considers all taxonomically useful published work. Unpublished statements – even if correct – will not be taken over here. Also contents of websites that are not published elsewhere are not considered. Roewer and Platnick set standards for the Catalog that persist largely until today. Basically, this includes all descriptions of new species, transfers, synonymies and all taxonomically useful (i.e., illustrated) references to previously described taxa. Electronic supplements can be considered in combination with the corresponding main article. Not included are fossils (but see the separate fossil section), subfamilial or subgeneric divisions and allocations, or mentions of taxa in purely faunistic works (unless accompanied by useful illustrations). 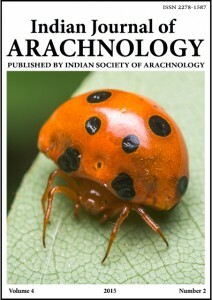 The World Spider Catalog Association (WSCA) is an association for the promotion of taxonomic and systematic research in arachnology, including related fields. Therefore, the WSCA collects all spider literature relevant for this research and makes it accessible to its members. WSCA is open to all interested scientists.